A time of staying closer to home. A time when traditions, candlelight, a wood-burning stove and some home-baking help bring cozy comfort and light to a dark time of year. When memories of baking keep me close to my mother and grandmothers. When a simple activity can keep cultural traditions alive. And give a much-needed escape! On a recent chilly gray afternoon, in trying to ward off the chill and gloom, I wanted to make something yummy, something filled with sweet memories, fun to make, but also easy and quick. 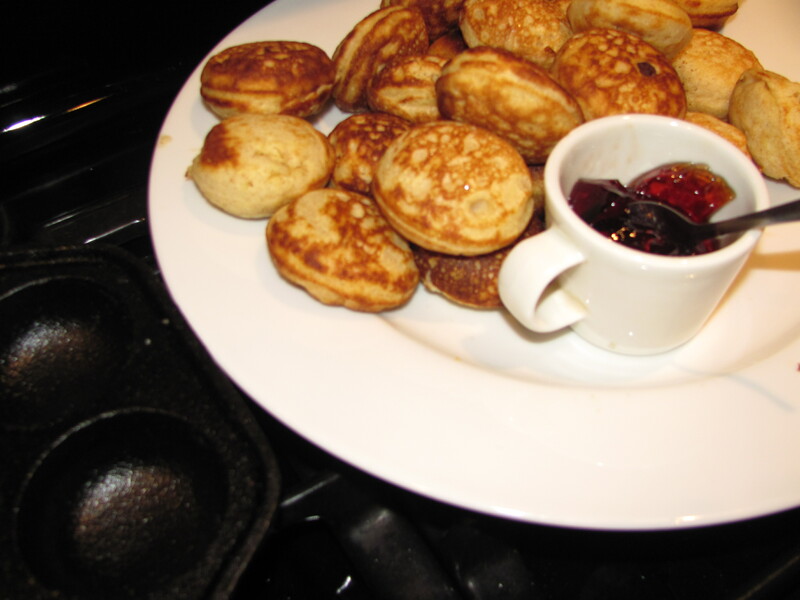 Warm from the pan, fragrant with butter, a mouthful of sweetness with a bit of jam – æbleskiver – delicious round, sweet pancake-like treats was the perfect solution! Totally satisfying – both to eat and make. 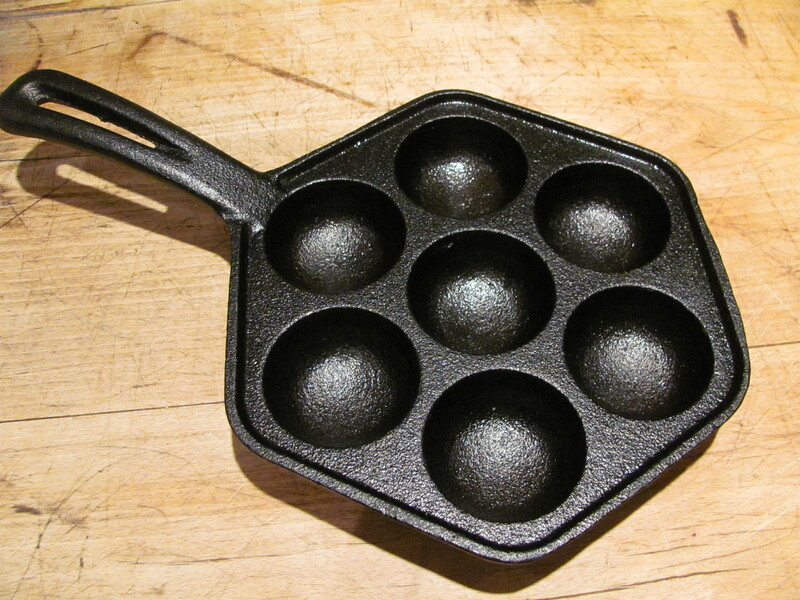 Æbleskiver need a special pan, but the pan is easy to find and the cast-iron, stove top kind is very affordable. Below is a good recipe, but if you are like me and always short of time, simply prepare a pancake mix, substitute melted butter for oil, double and separate the eggs, beat the egg whites until stiff, and fold gently into prepared batter. My version of a Æbleskiver Recipe: Separate 3 eggs. Heat 1 cup milk with 1/2 cup butter until butter melts. Once cooled a little, whisk in 3 egg yolks, one at a time. In a large bowl, mix together 1 1/2 cup all-purpose flour, 2 tablespoons sugar, 2 teaspoons baking powder. Whisk in the milk mixture until smooth and well blended. Whip egg whites until stiff and fold gently into batter. Heat pan over medium heat, place a little tiny dollop of butter in each indentation, then when it is sizzling, spoon in a little batter, filling indentation in pan half-way up. Using a fork, when browned enough on the bottom and edges, turn the little sweet things. Serve with jam. Alternately place about 1/2 teaspoon jam in middle of each pancake ball just before you flip/turn it. Yum. Great as an afternoon snack, weekend breakfast or tea/coffee time treat. Enjoy!